iProphet recreates the unique sound of the classic Sequential Circuits Prophet VS synthesizer. The Prophet VS’s rareness and classic digital sound make it a mainstay for those who can find them and a seemingly out or reach dream for those who cannot. The sound is purely classic crisp digital sound that easily stands on its own, but at the same time is the perfect compliment to the sound of analog synthesizers. It brings the crystaline vintage sound of four digital oscillators and allows sculpting them using a creamy & warm multimode filter. 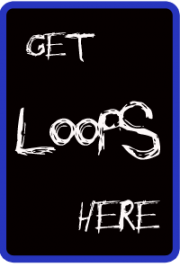 You can morph the sound of the 4 oscillators using the joystick or the vector mode and the vector envelope. The iProphet is great for evolving pads, sharp leads and super punchy digital bass sounds and comes with over 500 presets created by some of todays best sound designers. 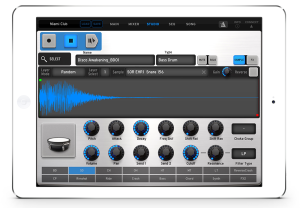 You can also swap presets between iProphet and Arturia’s Prophet V synthesizer which allows you to work on the iPAD and finish in the DAW of your choice. 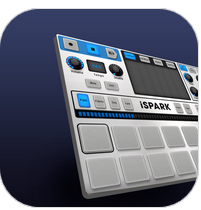 iProphet supports Core MIDI, interapp-audio as well as Audiobus technologies for perfect integration. iProphet is also a Tabletop Ready app. You can use it exclusively or along side your favorite Tabletop instruments. The use of the brands ‘Prophet’ and ‘Sequencial Circuits’ is done with permission of Dave Smith Instruments. 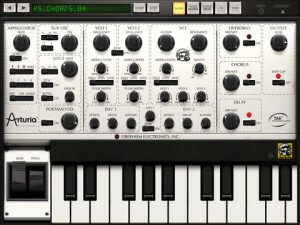 iSEM is a recreation of the classic 1974 Oberheim SEM (Synthesizer Expander Module), one of the world’s first self-contained synthesizer modules and the first to bear the “Oberheim Electronics” name. 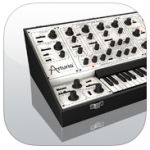 Supports AudioBus and Apple’s Inter-App Audio connectivity (requires iOS7). Apple’s Inter-App Audio connectivity (requires iOS7), AudioBus, Korg’s WIST and Apple’s CoreMIDI are all supported.